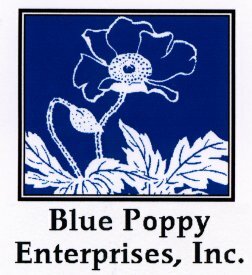 Blue Poppy Enterprises, Inc. is made up of three divisions. Blue Poppy Press publishes and sells books and other materials on acupuncture and Chinese medicine. Blue Poppy Seminars runs live and Distance Learning continuing education programs for licensed health care practitioners in acupuncture and Chinese medicine. Blue Poppy Herbs manufactures and markets a line of "by perscription only" Chinese herbal supplements to licensed health care practitioners. Corporate Massage Therapies - Advanced Treatment Center LLC offers massage services that promote and maintain the health and well-being of people, weather you are in the "Acute, "Rehabilitation" or "Wellness" phase of care. Massage and bodywork services are designed to compliment your stress management and wellness activities and goals. The massage and bodywork techniques used help identify and correct muscle and soft tissue imbalances and (kinks) in the body caused by physical trauma, mental or emotional stress or accidents, injuries or disease. Identifying and correcting Posture and Balance issues in the body can help improve movement for for all stages of care. Bodywork techniques are also used for Dance and Sports Muscle Balancing Therapy. Energeticwellbeing body mind spirit ongoing Qi Gong workshops, private sessions by apt; suggested donations. Quantum Touch teacher/practitioner /Reiki master certified Qi Gong Ti Chi/Meditation,Cranial Sacral,Reflexology,Breathwork,Native American& Ancient Teachings, Crystals, Essential Oils Intuitive Source GUIDED Loving Intent. Ongoing workshops; inquire about hosting a workshop at your location!!!!!! Practitioner of many modalities to assist others helping themselves to a whole healthfull Energeticwellbeing. Please see www.quantumtouch.com for great data & standard costs then check state of WI. for year round dates & more details. 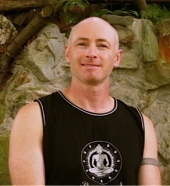 Eric studied Traditional Thai Yoga Massage in Thailand and has been an instructor to other health care professionals since 1998. Eric is an Approved Provider for continuing eduction with Thai Healing Alliance International (THAI), the National Certification Board for Therapeutic Massage and Bodywork (NCBTMB), and the Yoga Alliance International. 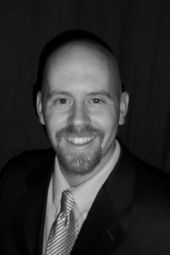 Eric is also a Nationally Certified Massage Therapist, Viniyoga instructor, and a Nationally Certified Acupuncturist. He brings a gentle and compassionate quality to his work. 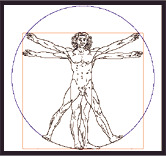 His curiosity and interest in the human body are reflected in his holistic approach to helping others. By drawing upon eastern forms of healing, Eric's treatments address the physical, emotional, and spiritual aspects of wellness. 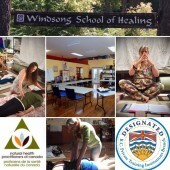 House of Healing is both a clinic and a school specializing in acupuncture using vibratory tools such as cosmicly attuned tuning forks, tibetan bowls and 9 gongs. 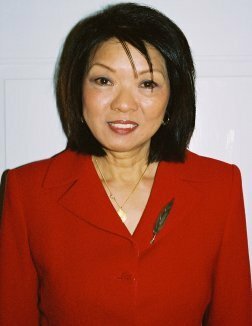 Rose Eng-Lum is the main clinician and instructor. She received sound training through the Kairos School of Sound Healing. The House of Healing clinic offers counseling integrated with sound acupuncture for maximum healing in today's complex environment. Clients can elect counseling with their treatment program. We have been featured on local television and the news media for our unique specialization. 600-hour integrative massage education; one-year, part-time program. Medical/Clinical massage focus. Diverse faculty averages two dozen of the area's most established professionals, majority with advanced massage backgrounds and active practices. Lab classes limited to 8 students in each afternoon or evening, combined on weekend lecture classes for a total of 16 per cohort. Financial aid limited to Veteran's/Voc Rehab, internal payment plans, external online financing, MC/Visa, and scholarships. Great medium-sized, progressive city in four-season climate. 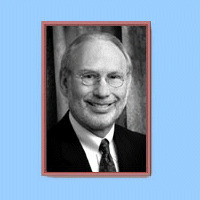 Vivian Specialized in injury and disability cases for over 15 years in private practice. She is the only one with the self learned hands on experience. The one who assisted in seeing that State insurance laws were enacted to help massage therapists be reimbursed by insurance companies, as well as the first one in the State of Florida to accept Workers' Compensation cases, and working to see that massage therapists were not eliminated from the Fl Work Comp system, setting a precedent in a court action to allow LMT's to be providers in the system. When it comes to learning how to accept insurance for reimbursement, won't you think first of trusting the leader instead of the followers?? A very common skin condition, seborrheic dermatitis affects more than three million people every year. It causes itchy, red skin or rashes with white scales. If you have this condition, you’ll find it on your scalp, face, forehead, and on the folds of skin around your nose, eyes, ears and eyelids. When it appears on your body, you’ll see it on the folds of the skin — including under your arms, below your breasts and around your groin, buttocks and navel. Personal Injury Representation in NJ. When you are injured due to the fault of another, you need to know that you are getting the maximum amount of compensation to cover your medical expenses and future care. Personal injuries happen daily and when they are caused due to someone else’s negligence, you should not have to pay for that. The experts at Prosmushkin&Tsirkin Trial Lawyers provide you with the best personal injury representation in Elizabeth NJ and we will fight for your rights. Slip and Fall Accident Lawyer in NJ. A slip and fall accident can occur in a restaurant, on the sidewalk, at the movies, and any other place you travel. If you have been injured due to a slip and fall, it is time to reach out to our slip and fall accident lawyer in Elizabeth NJ. The laws surrounding your claim can be difficult to understand and navigate and our team of attorneys will do that for you. Let us help you prove your case today.